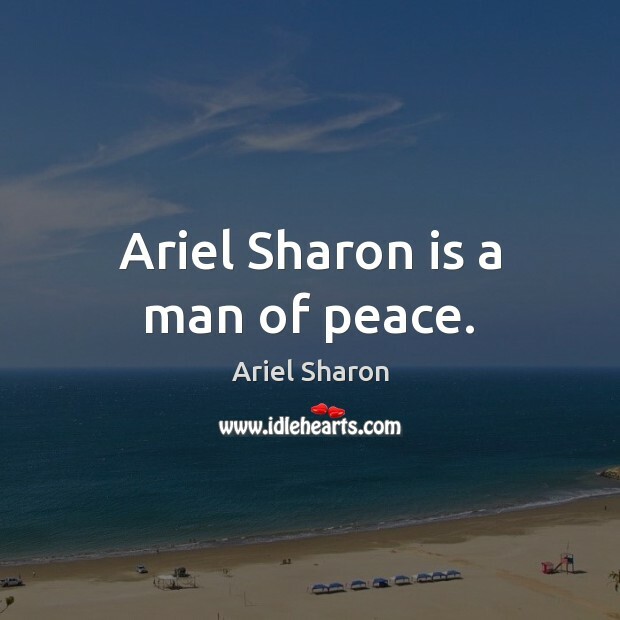 Quotations about Ariel. Quotes to stimulate mind and drive action! Use the words and quote images to feed your brain inspiring things daily! 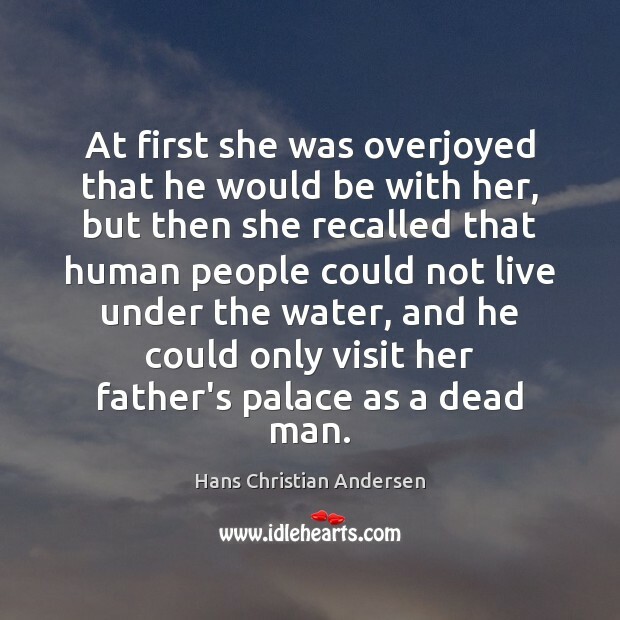 At first she was overjoyed that he would be with her, but then she recalled that human people could not live under the water, and he could only visit her father's palace as a dead man. 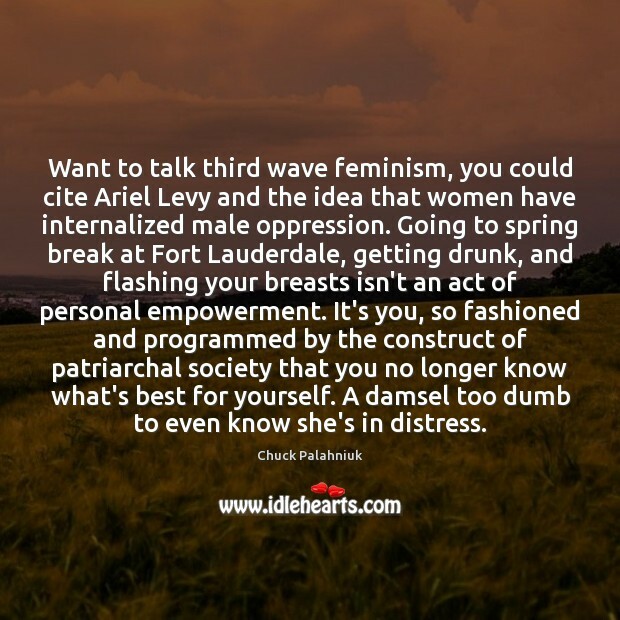 Want to talk third wave feminism, you could cite Ariel Levy and the idea that women have internalized male oppression. Going to spring break at Fort Lauderdale, getting drunk, and flashing your breasts isn't an act of personal empowerment. It's you, so fashioned and programmed by the construct of patriarchal society that you no longer know what's best for yourself. A damsel too dumb to even know she's in distress. 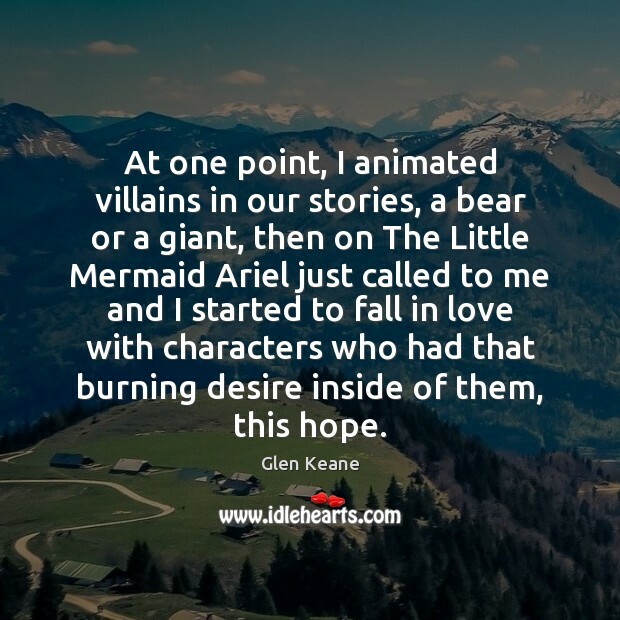 At one point, I animated villains in our stories, a bear or a giant, then on The Little Mermaid Ariel just called to me and I started to fall in love with characters who had that burning desire inside of them, this hope. 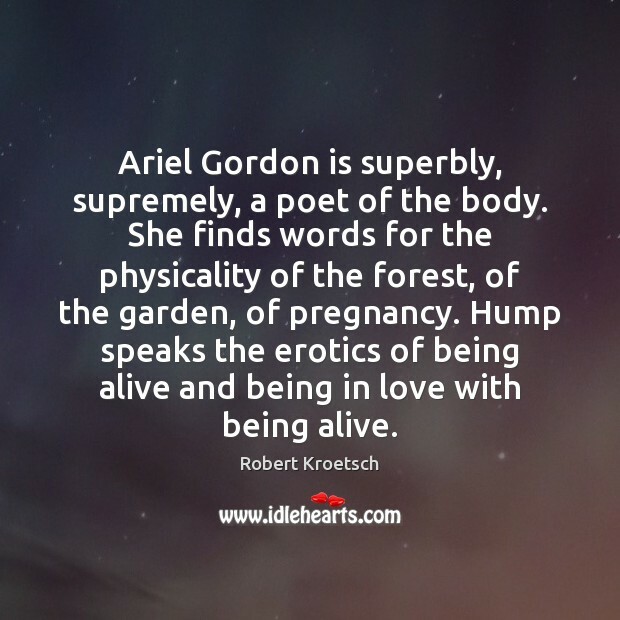 Ariel Gordon is superbly, supremely, a poet of the body. She finds words for the physicality of the forest, of the garden, of pregnancy. Hump speaks the erotics of being alive and being in love with being alive. Just because you're into Kate...well, it doesn't necessarily mean you're gay. Although it's okay if you are. 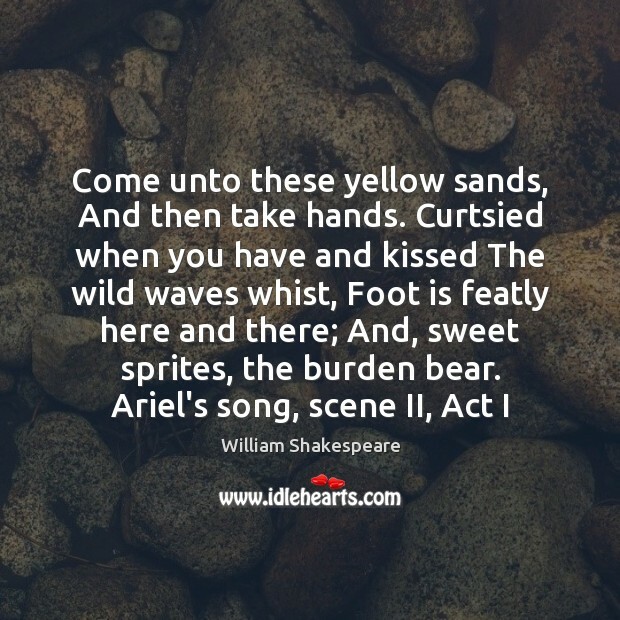 But if that's what's worrying you...' Ariel sighed. 'God. 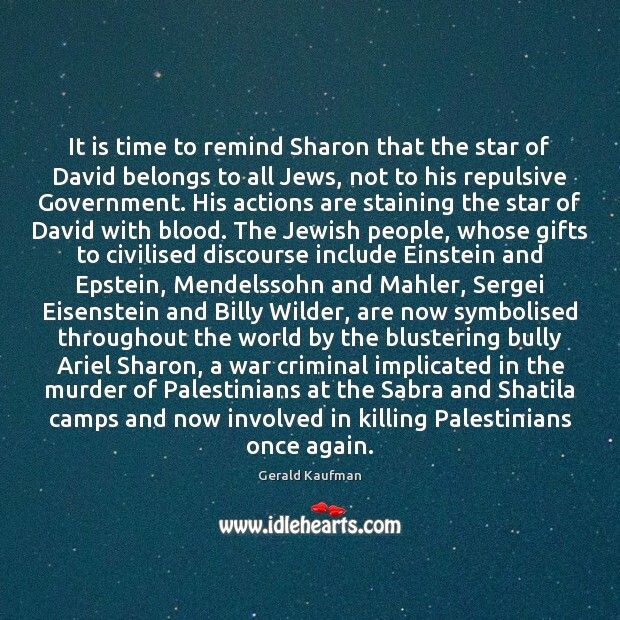 It shouldn't be so hard to talk about this stuff. All I'm saying is maybe you're gay and maybe you're not. Maybe you're bi. Or maybe it's totally a Kate thing. Maybe you'd want to be with her whether she was a girl or a boy.' I blinked. I didn't know if what she said made things better or worse. 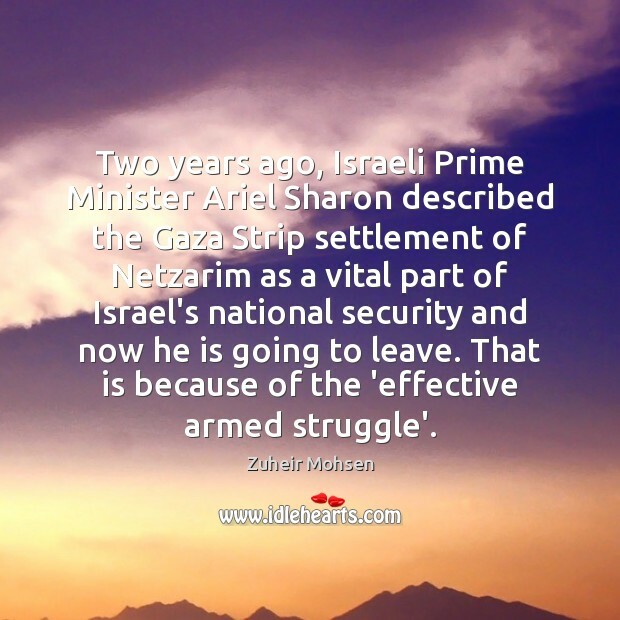 Two years ago, Israeli Prime Minister Ariel Sharon described the Gaza Strip settlement of Netzarim as a vital part of Israel's national security and now he is going to leave. 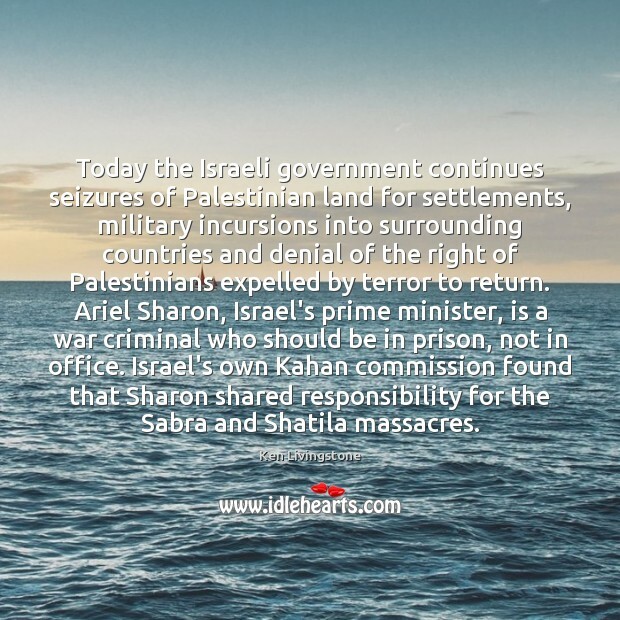 That is because of the 'effective armed struggle'. 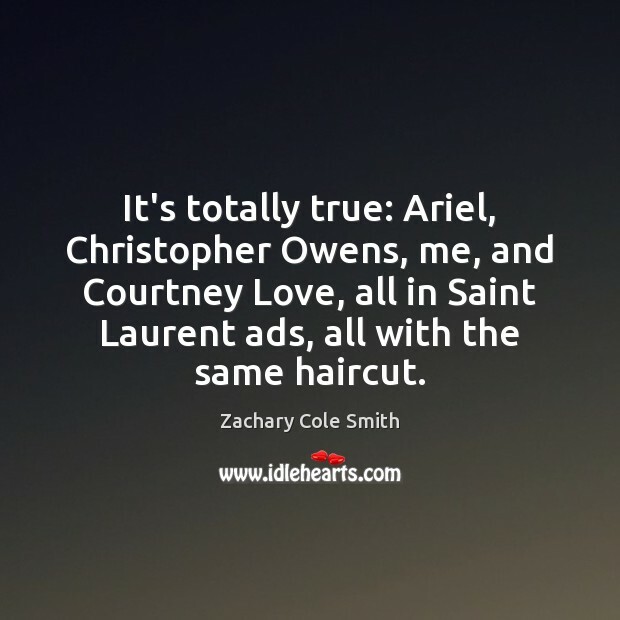 It's totally true: Ariel, Christopher Owens, me, and Courtney Love, all in Saint Laurent ads, all with the same haircut. Most people think of Ariel when they think of mermaids. 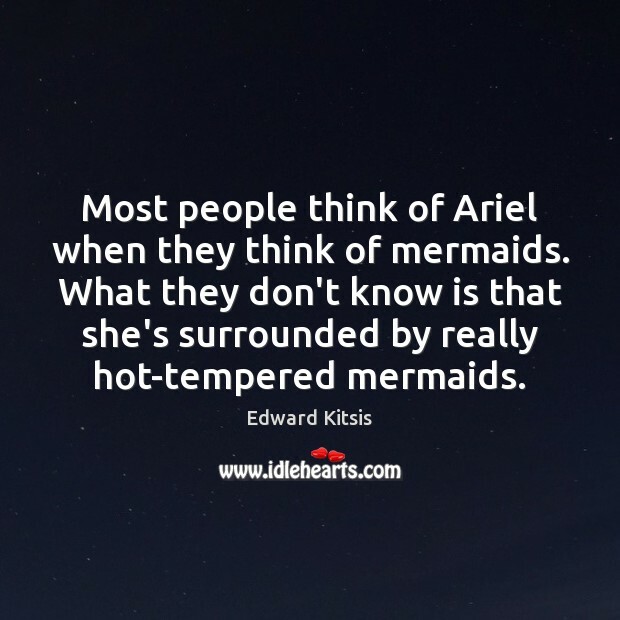 What they don't know is that she's surrounded by really hot-tempered mermaids. The next day brought more visitors. Sarah was eating a simple luncheon with Charis, Ariel, and Guinevere and was experiencing for the first time in her life the pleasure of talking freely with other girls she trusted. It wasn't that they talked about anything of importance. 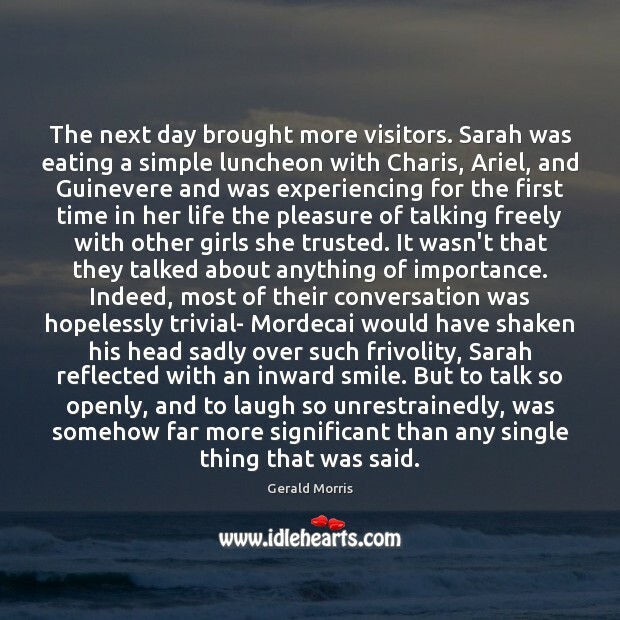 Indeed, most of their conversation was hopelessly trivial- Mordecai would have shaken his head sadly over such frivolity, Sarah reflected with an inward smile. But to talk so openly, and to laugh so unrestrainedly, was somehow far more significant than any single thing that was said. 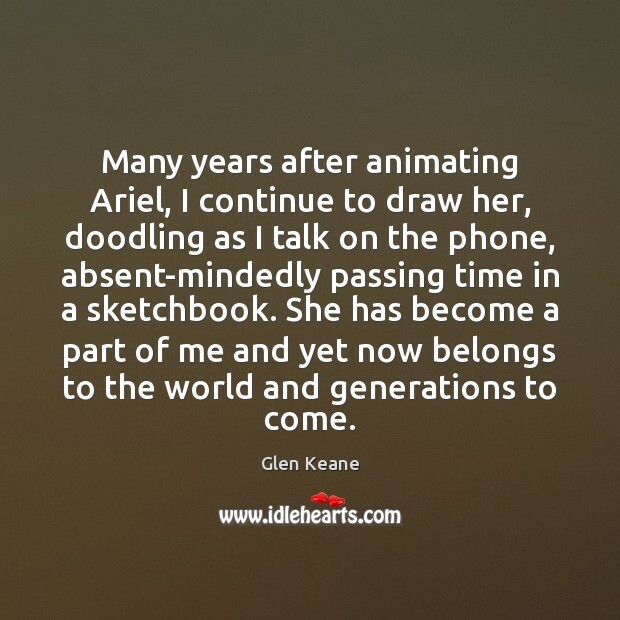 Many years after animating Ariel, I continue to draw her, doodling as I talk on the phone, absent-mindedly passing time in a sketchbook. She has become a part of me and yet now belongs to the world and generations to come. 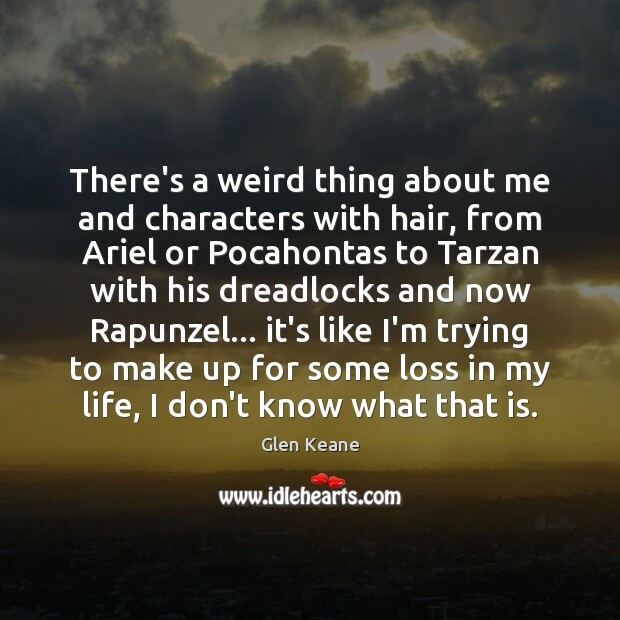 There's a weird thing about me and characters with hair, from Ariel or Pocahontas to Tarzan with his dreadlocks and now Rapunzel... it's like I'm trying to make up for some loss in my life, I don't know what that is. 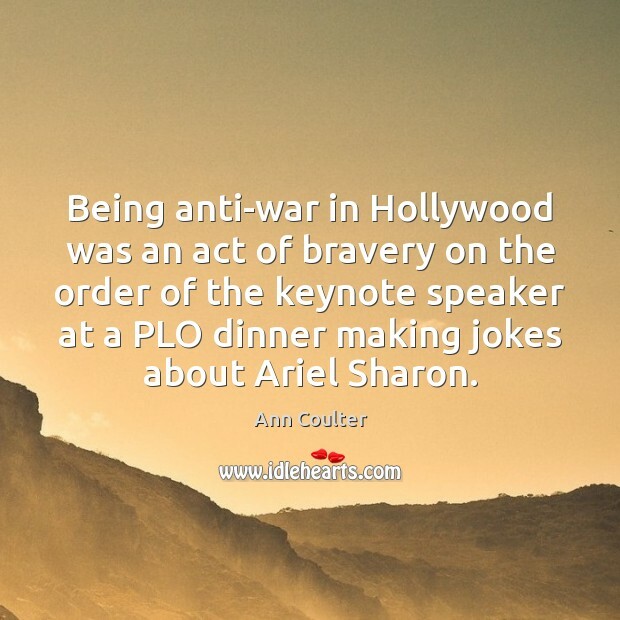 Being anti-war in Hollywood was an act of bravery on the order of the keynote speaker at a PLO dinner making jokes about Ariel Sharon.